What does a local messenger do exactly? A local messenger is a professional courier service that comes to your location, picks up a package or document and then delivers it locally. It doesn’t matter whether your location is a workplace or residence. What matters is that you don’t need to interrupt your work or play to make the delivery or pick-up yourself. 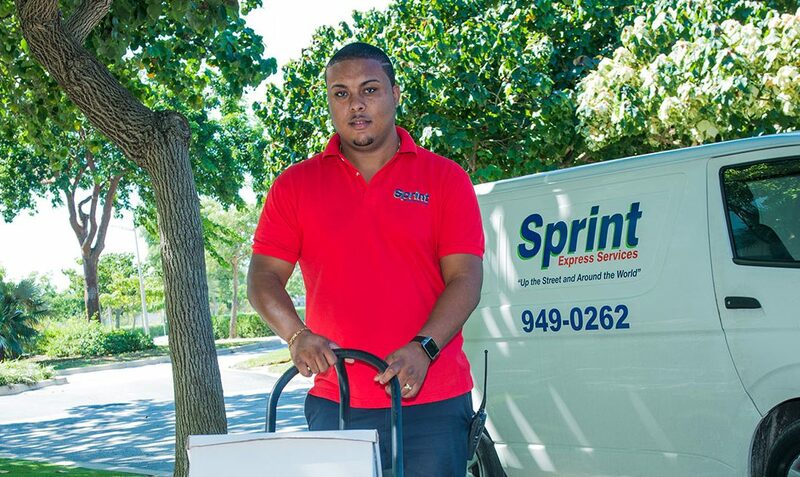 When you contact our local messenger service at Sprint Express Services, you can expect a highly dependable and secure delivery service to and from anywhere on the island. We know that sensitive materials such as passports and legal documents are often required urgently. We will get the job done for you as securely and rapidly as possible. Requests can be placed online, or you can contact our local Despatch Centre by phone to talk about your delivery request with a trained staff member. Our experienced and uniformed messengers will always arrive promptly at your location. Their efficiency, secure handling and knowledge of the local area will give you confidence in our company. Our despatch system is fully automated. We use radio-controlled couriers who record and monitor your order every step along its journey from pick-up to delivery. Thanks to our online tracking system you can keep track of your delivery at all times. As for meeting deadlines? At Sprint Express Services we are fully committed to ensuring your delivery is completed on time, every time. When your document or parcel reaches its destination, proof of delivery will be obtained in the form of a signature and a printed name. This is immediately sent to you by email or telephone, depending on your preference. It’s crucial that you hire a trustworthy company to manage your local messenger needs. At Sprint we earn our customers’ trust. We take pride in providing a top quality service and we make it our goal to find innovative and cost-effective solutions to all of your delivery needs. We are the most experienced local messenger company on the island. This is a business where experience and knowledge of local networks really counts. Once you’ve dealt with Sprint Express Services and seen for yourself how efficient and trustworthy we are, you will want to stick with us for the long term.